I don’t really remember how I got there. My best guess is that Aaron Sanchez’s mom drove us all down there. A whole van full of us. It was June of 1989. 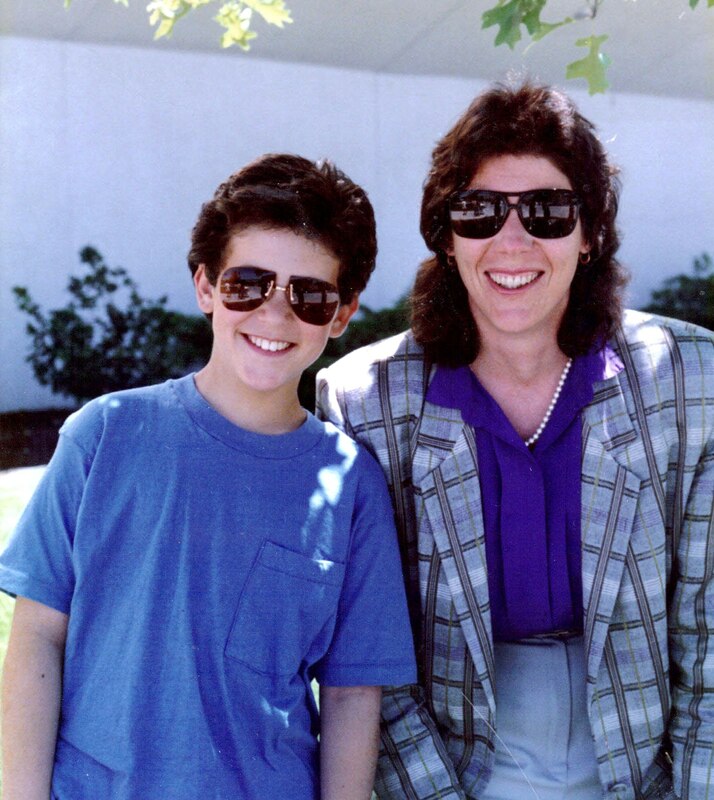 “The Wonder Years” was the reigning Emmy Award Winner for best comedy series and 12-year-old Fred Savage was on the cover of the latest TV Guide. A 20-year-old Christian Slater was just two months out of his appearance in “Heathers,” Jenny Lewis was still a good 10 years away from launching her music career and Beau Bridges was, well, Beau Bridges. 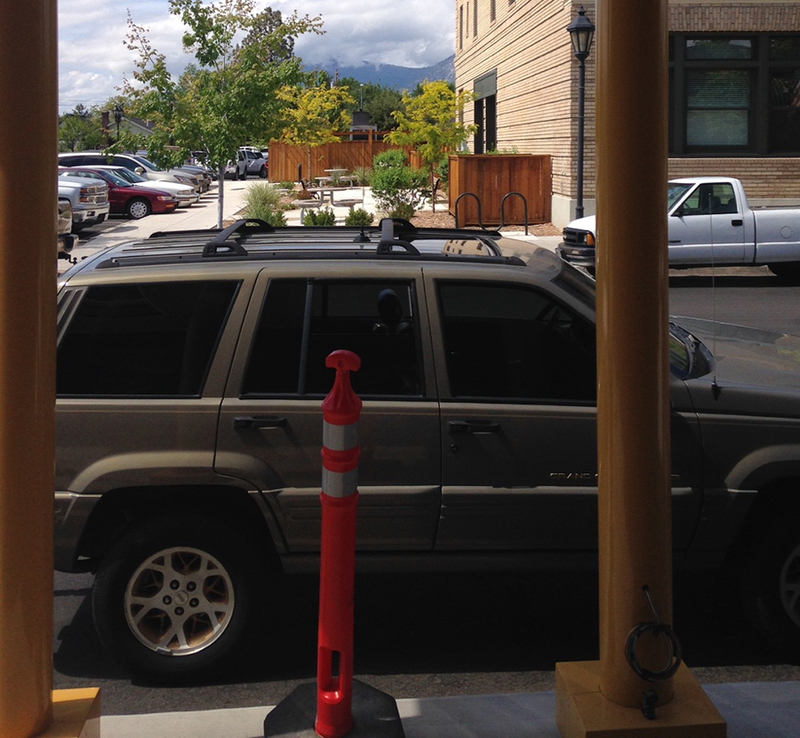 And they were all in Carson Valley to shoot a movie – something about a kidnapping, and a road trip. And a big video game contest. I don’t remember how I got there, but I remember how Esmeralda Avenue looked. There were cameras and trailers all over the place. A lift truck was off to the side. There was scaffolding, maybe. The C.O.D. Garage looked different than it normally did. They held us all, a big crowd of us, off at a distance — toward the west side of the garage. There were whispers behind us. Autograph, picture, handshake. The whole deal. Girls around us squealed with delight. I guess it was pretty cool. 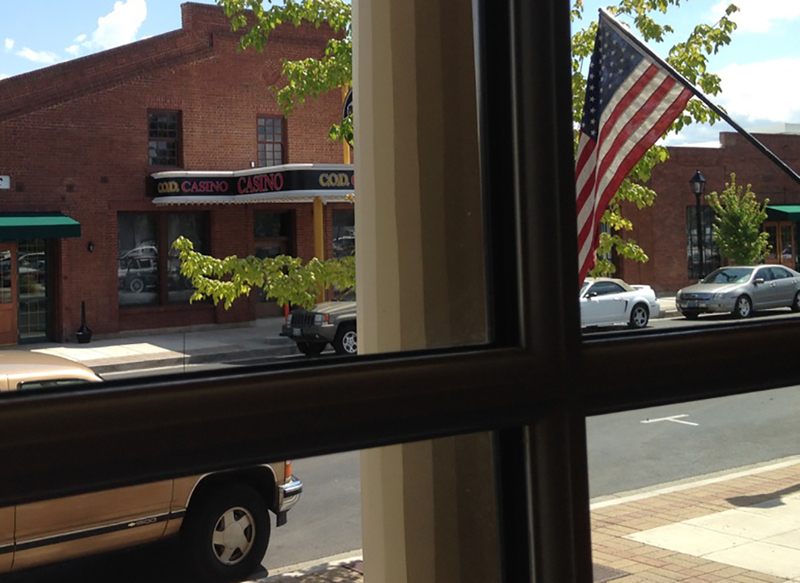 Around the corner of the Minden Inn, all made up to look like a small-town diner – Selma’s – came a flash of red hair. Jenny Lewis was ushered quickly up the steps and inside. Hushed approval rippled through the crowd. Quite a bit more craning of necks, squinting to see inside “Selma’s” windows, hoping to claim we saw something amazing. It was hot, the air was stale and nothing happened. It may have been an hour. It felt like an hour, but I was 9 years old, so it just as easily could have been 15 minutes. I didn’t see “The Wizard” when it was in the theaters. Frankly, I haven’t talked to anyone around here who did. 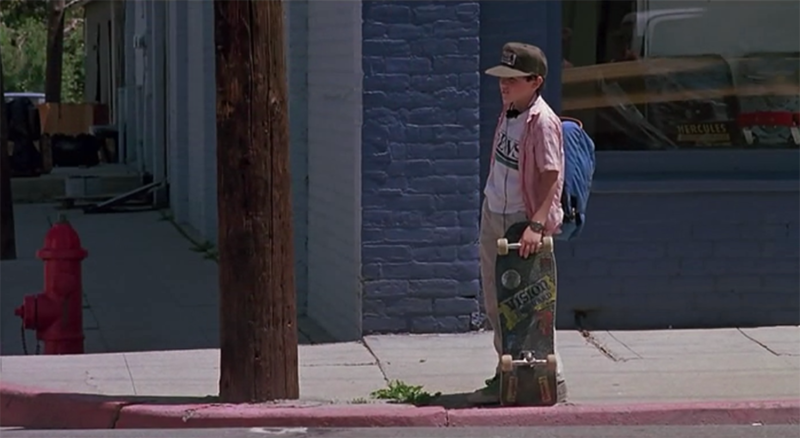 But I remember distinctly watching it on VHS tape, in my grandparents’ living room the following summer. 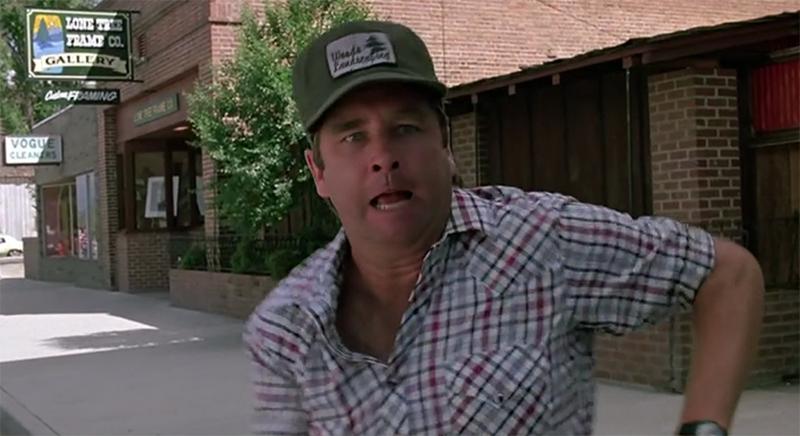 About 20 minutes in, there was Beau Bridges, throwing a shovel like a javelin into the middle of Esmeralda Avenue. I remember smiling at that. That was my home. It was in a movie. And I watched it happen. 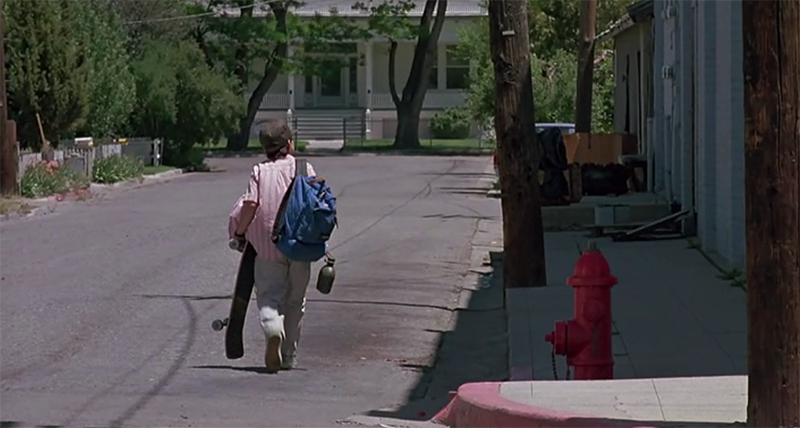 “The Wizard” wasn’t the first movie filmed in Carson Valley. Nor was it the last. You’ll often hear talk of “Chicken Every Sunday” or “Charley Varrick” with Walter Matthau. 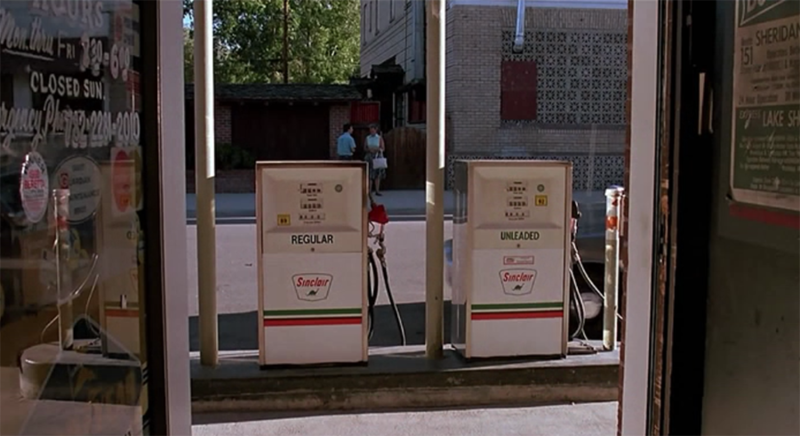 “Misery” was filmed in Genoa and 2012’s “The Motel Life” with Dakota Fanning was filmed in part at the JT Basque Bar & Dining Room in Gardnerville. What made “The Wizard” unique was a basic confluence of timing, interest and availability. Fred Savage, at the time, was the lead actor on television’s biggest show. The movie, as it turned out, was essentially a 96-minute commercial for the world’s most popular video gaming system (The moral of the story: “Nintendo brings families together!”). 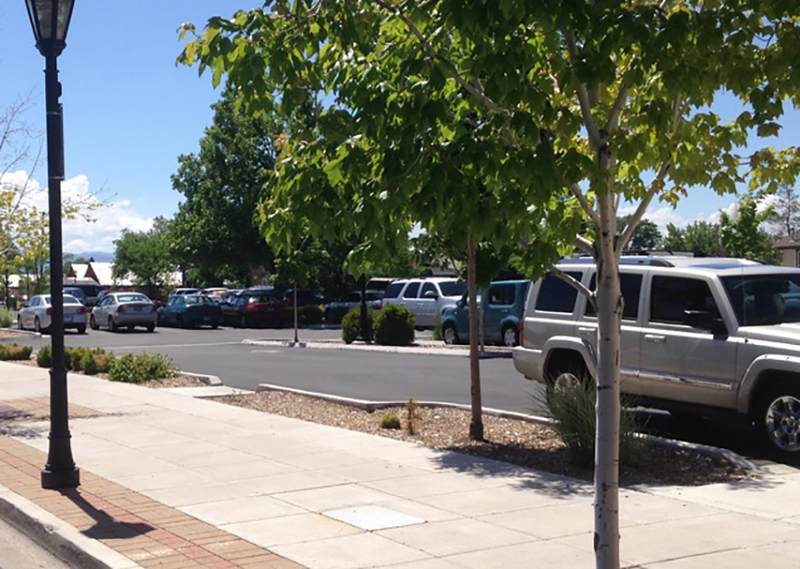 Valley schools had just let out for the summer and Carson Valley Days had just passed. 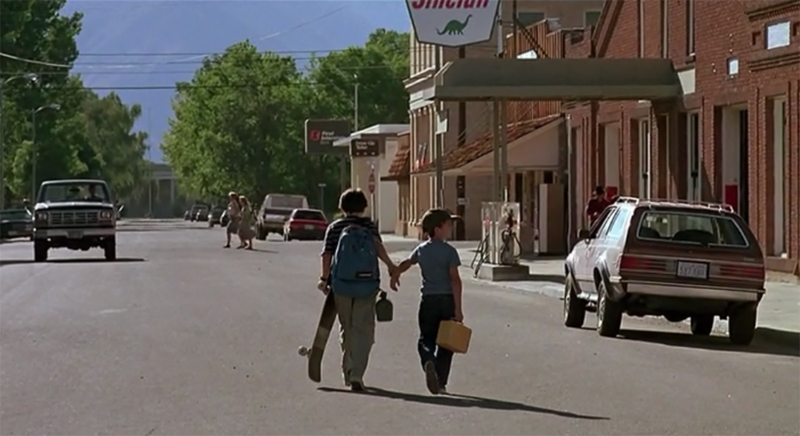 If you were a kid in Carson Valley at the time, you likely wound up at one of the filming locations at least once. And if you didn’t, you knew someone who did. There just wasn’t anything else going on. 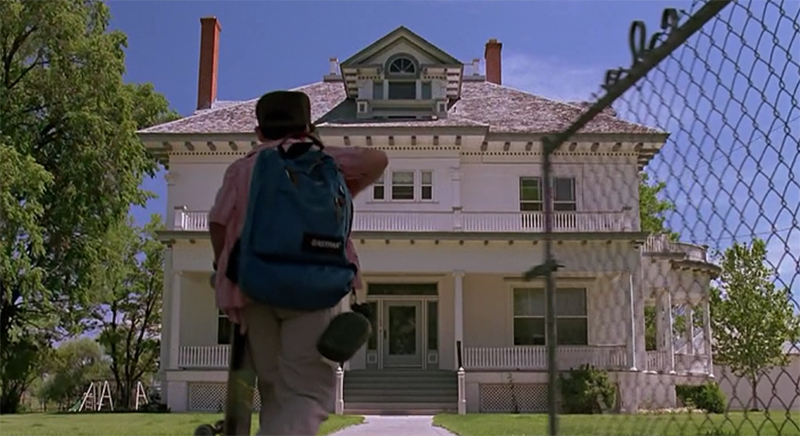 The movie became a landmark of the collective 80s-90s Gardnerville childhood. You showed it to your friends while you were away at college. And you showed it to your co-workers after that. Lone Tree Frame Co., Vogue Cleaners and just the edge of the old barn on the corner. Compared against our similar experiences, these statements were probably met with little interest — a curious raise of the eyebrow at best. But it was important to us, wasn’t it? The answers intrigued me. They were as unique as they were uniform. After getting over the shock of the 25-year time span, tidbits of information and anecdote came to the surface. Over time, a narrative began to develop – bringing with it more questions. How did the production crew end up here? Why Gardnerville? 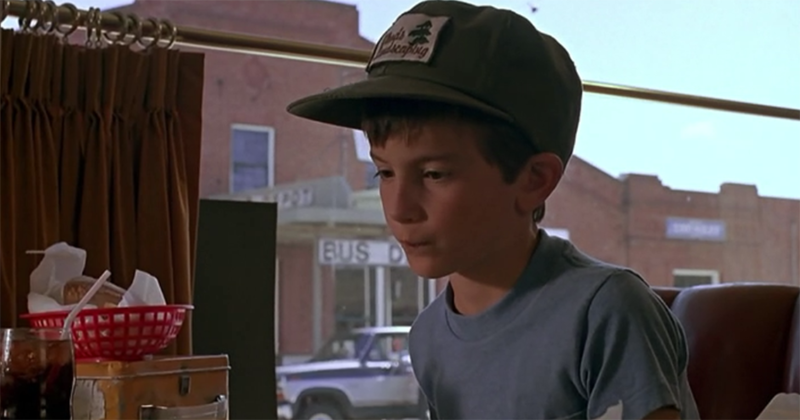 How many people around here have Fred Savage’s autograph? How many pictures with the stars are hiding in photo albums and shoeboxes around the Valley? What follows is a collection of the answers we managed to find. Then-Gov. Richard Bryan created the Nevada State Film Commission in the mid-80s and Robin Holabird became the film commissioner in Northern Nevada (a position which she’d hold for 21 years) around 1987. Aside from its wide open spaces, Nevada had something else going for it. “Gambling, at the time, was not as prolific across the country,” Holabird said. “There was Atlantic City, Las Vegas, Reno and Tahoe. And that was pretty much it. 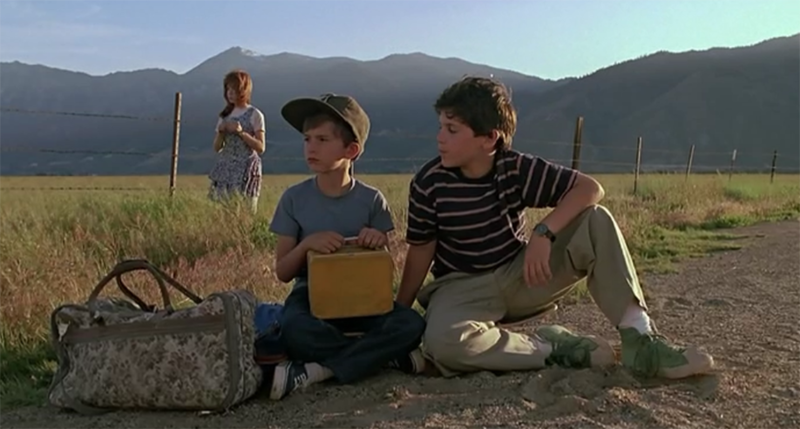 The script for ‘The Wizard’ – a movie about a young boy (played by Luke Edwards) with an unnamed, but serious mental illness who is kidnapped by his older brother (Savage) and taken on an impromptu road trip, during which Edwards’ character discovers an innate ability to win video games – came across the Nevada State Film Commission’s desk in early 1989. “In the Southern Nevada Office, they referred to the movie as ‘Rain Boy,’ which the writer (David Chisholm) took great offense to,” Holabird said, “We joked around for a time that that’s why it ended up in Northern Nevada. But the script called for Utah. 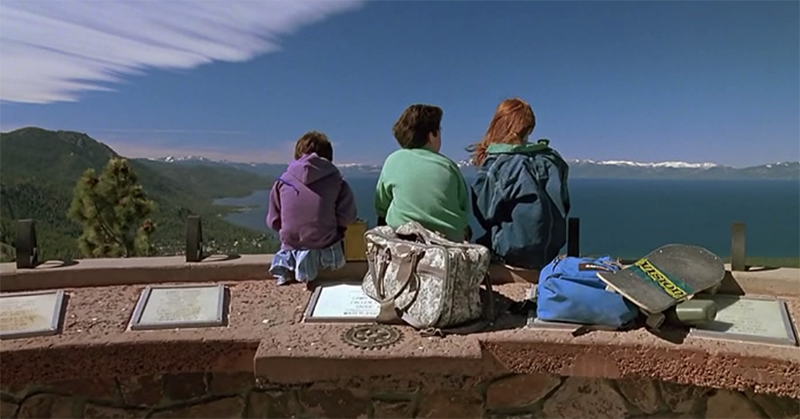 The opening sequence of “The Wizard,” filmed on Pyramid Highway outside of Sparks. “The script opened at Arches National Park in Utah,” Holabird said. “That’s what the writer truly, truly wanted. But that area of Utah was not as flexible for the rest of the road trip. 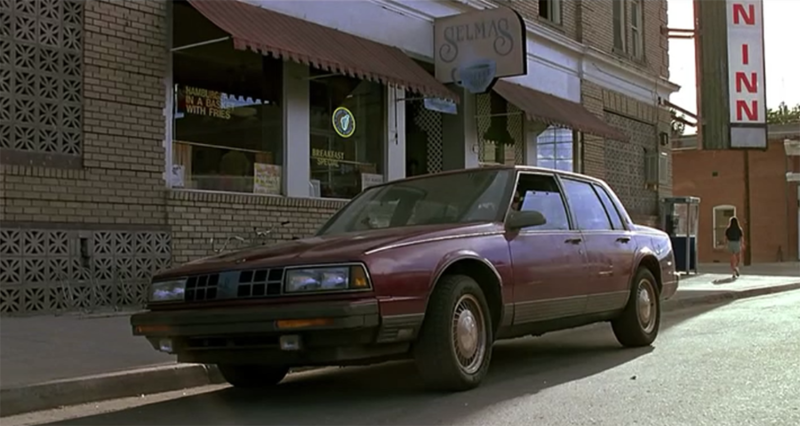 “Given the budget of the movie, finding a location for most of their shots in one region made more sense here. 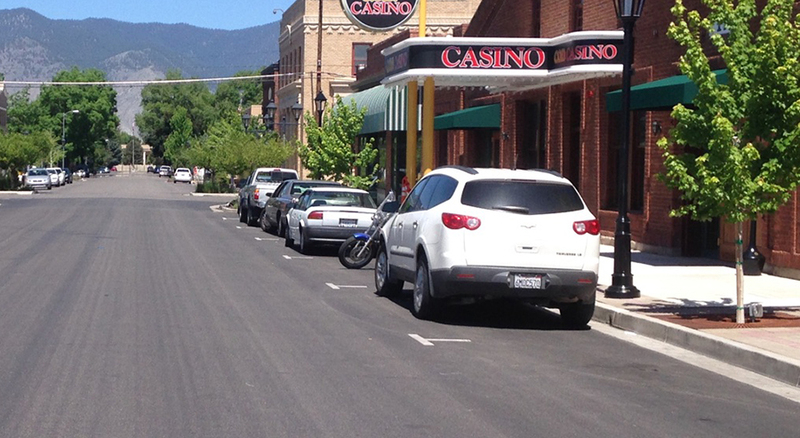 “They liked the look of Pyramid Highway (outside of Sparks). It suited the producers’ tastes. Once they settled on having that opening shot on the Pyramid Highway, they started scouting different locations around the Reno area that would fit in. 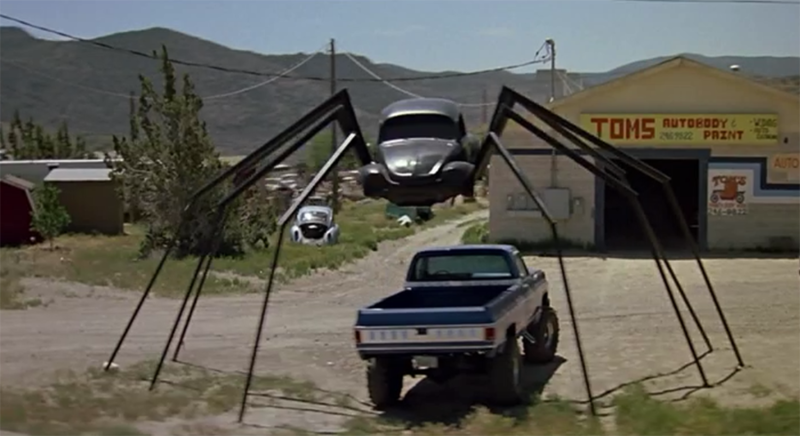 The famed spider car, then outside of Reno, makes an appearance in the film. Esmeralda Avenue during “The Wizard” in 1989. 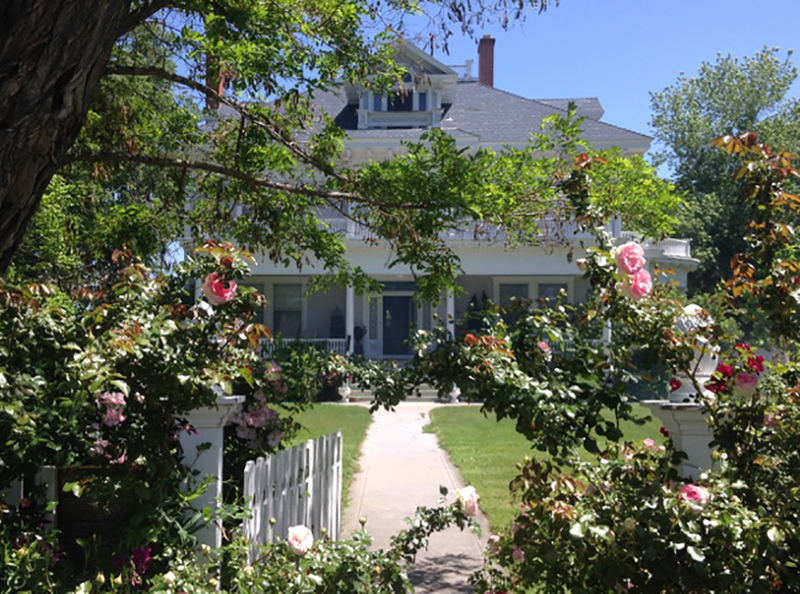 Crews started filming June 12, 1989 at the then-Reid Mansion Bed & Breakfast on Ezell Street in Gardnerville. They moved on to Esmeralda with both the Minden Inn and the C.O.D. 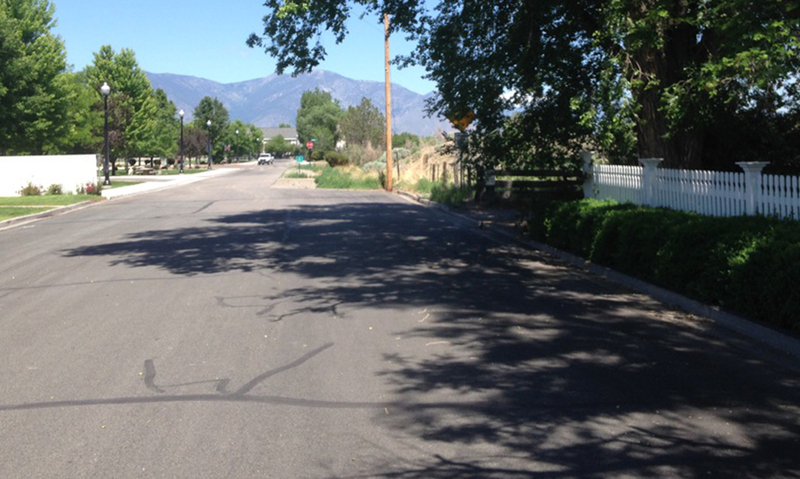 Garage and filmed additional scenes on Genoa Lane and other Carson Valley roads. 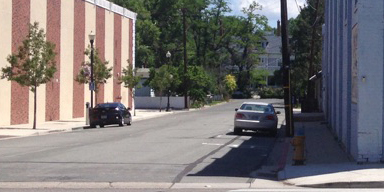 Down Ezell toward Carson Valley Middle School, when Heritage Park was not yet bisected by Gilman and before the High School Street apartments were constructed. By the time filming reached Esmeralda, word had spread around town and the scene had become quite the attraction. “I remember hearing it from my friend, Darren,” said Evan Jones, who was 11 years old at the time. “He’d actually met Fred Savage very briefly when he was in the arcade at CVI and he’d heard about them shooting. Some dissatisfied with the view from down Esmeralda found other options to get closer to the action. “I had people coming through the back of the store to watch through our display windows,” said Roxanne Stangle, owner of Tumblewind Antiques & Collectibles just a couple doors down from the Minden Inn. “People would just park out back and come through the back door. The crews had said they didn’t care if we were standing out in front a little, as long as they weren’t shooting out there. Other locals found a more direct route on set. “I was taking some acting classes at a strip mall in Reno, ones that just taught the fundamentals and things like that,” said Tom Kerley, who had just finished the eighth grade at Carson Valley Middle School. “It was pretty off and on. 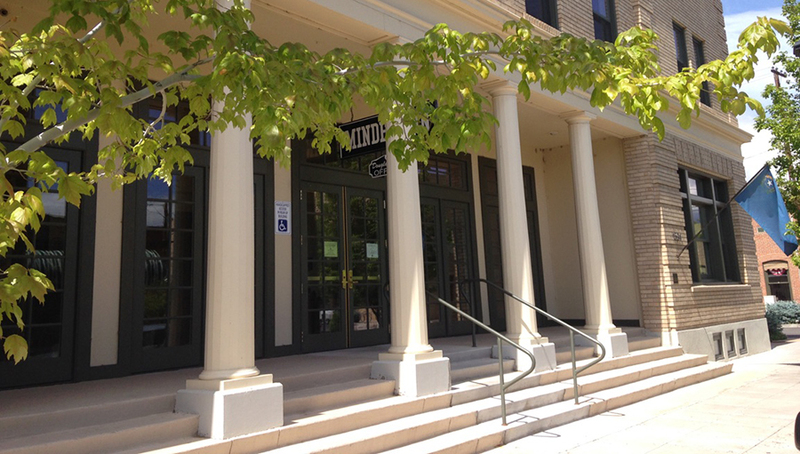 I did some community theater at the CVIC Hall when I was younger. Kerley went to Reno for a script-reading and found out shortly after that he’d received a part. Between landing the part and the start of filming, Kerley’s parents bought him a dirt bike, which he promptly crashed. The accident fractured his wrist. Gardnerville’s Tom Kerley, playing the pinball machine, landed a speaking role in the film. Note the cast on his left arm. Kerley had to report at 6 a.m., the day of filming for his scene – he had a brief scripted interchange with the creepy bounty hunter looking for the main characters – which was scheduled to begin in the afternoon. “You had to be there, they didn’t want to be waiting on you,” he said. “I remember just kind of wandering around aimlessly. There were these modified RVs, like dressing trailers, and one had my name on it. I hung out in there, came out for lunch and that was pretty much it. He finally wound up in front of the cameras around 7 p.m. Many years later, Kerley happened to tell to his then fiance, Melissa (mentioned above), about his brief brush with stardom. The Kerleys have been married for seven years and now live in Medford, Ore. The C.O.D. Garage kept up its day-to-day operations during the filming. “We just tried to work around what they were doing,” said Robb Hellwinkel, who worked for his father and uncle at the garage. “They turned our garage into a bus station. Most of the scenes shot in the garage were in the front office, which is now the main floor of the C.O.D. Casino. The cashier’s window and desk, along with much of the old office, have been preserved in the museum at the back of the casino, though. The surprising thing to me, was you maybe see Minden and Gardnerville for 15 minutes of the actual film,” Hellwinkel said. “But for that 15 minutes, it was an all-day event, every day. For just a 60-second shot, it would take hours. Hellwinkel was also impressed with the actors. 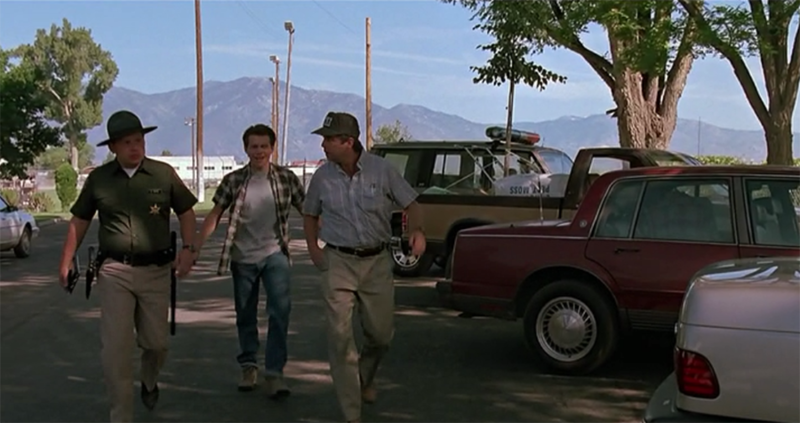 Robb Hellwinkel with Christian Slater, left, and Beau Bridges, right in the C.O.D. Garage. Photo provided by Jolene Wilkin. Christian Slater, Tami McGinley Evans (DARE T-shirt), Jolene Wilkin (pink shirt) and Bridgett Blair (far right) with Christian Slater. Holabird said her role was to address the needs of the location as well as the crew’s. “The way it worked up here, I usually dropped in on the set several times a week just to see how things were going,” Holabird said. “ We didn’t have cell phones of course, so you’d drop by and ask if they needed anything. I’d also check with the property owners, asking if everything was going OK,. if they were happy. You wanted everyone to be getting what they needed out of the process. Mindy DePaz, Christian Slater and Melissa Chamness. Photo provided by Melissa Chamness. “Since ‘The Wizard’, that particular movie started the interest and exposure to the C.O.D. Garage,” Hellwinkel said. “From that point forward, thanks to the Nevada State Film Commission, we had a lot of interest. There were film scouts coming through to take a look at the place. “There were more than one of the directors and crew that said if we were closer to Los Angeles, they’d be renting it out on a regular basis. “Porsche North America came up to do a photo shoot here. Kawasaki Motorcycles did a shoot here. There was a sporting goods company. “There were definitely onlookers,” Holabird said. “Fred Savage at the time had just been on the cover of TV Guide, so people were bringing copies by and getting him to sign them. He was very good with his fans, very level-headed and friendly. “The movie, looking back, really did have a lot of star power. Fred Savage was a real popular star, Christian Slater was on his way up, but he was only maybe 20 years old at the time. Beau Bridges, of course, was a well-respected actor. Holabird even went rafting on the Carson River with the cast and crew during their stay in Carson Valley. Peck had similar impressions of the Savage family. “Fred and his mom, and sister, and Ben, who went on to star in his own show, they were all there,” she said. “My impression, I’ll never forget, I loved his mom. They were the coolest people. I think he ended up graduating from Stanford . He never seemed like the child stars who get completely messed up. I attribute a lot of that to his mom. She insisted on him living normally. He had to go to school, he was polite. 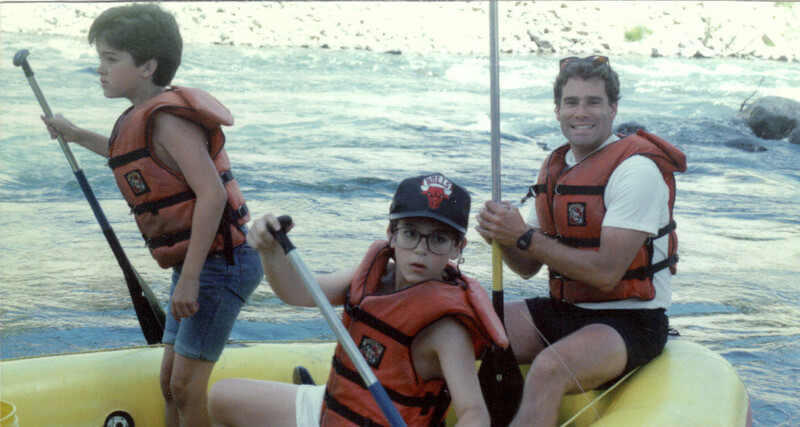 Notice “D” hill over Fred Savage’s Shoulder? The movie itself debuted at No. 5 in the box office during the second week of December 1989 and opened to negative reviews across the board. Despite the reviews, the movie developed something of a cult following over the years and served as a launching point for many of its key players. Director Todd Holland went on to an Emmy-award winning career directing both The Larry Sanders Show and Malcolm in the Middle. Producer Ken Topolsky was already producing “The Wonder Years” and continued to produce the show through its six seasons. Tobey Maguire makes an uncredited appearance (far left) prior to the “Video Armageddon” Finals. A young Tobey Maguire, of “Spiderman” fame, has an uncredited role as an extra in the film. Slater, of course, went on to become a Hollywood blockbuster star, appearing in everything from “Robin Hood: Prince of Thieves” to “The West Wing.” Bridges, already well into his acting career at the time of filming for “The Wizard” has piled up 192 acting credits over the years. The film also marked the unveiling of the wildly-popular Super Mario Bros. 3 video game and the Power Glove, which during its brief screen time can be very clearly seen not working properly – which unfortunately was a sign of things to come for the ill-fated, but still irrevocably cool, product. The film’s antagonist, Lucas Barton, has become a viral internet meme sensation in recent years with his signature, “I love the Power Glove … It’s so bad” proclamation. “The movie had some staying power,” Holabird said. “I read several years back that one of the athletes at the University of Nevada from Poland said a part of the reason she came to Reno was she’d seen the city in ‘The Wizard’ and wanted to come here. Peck said there’s just something different about a movie made where you live. “I remember the film ‘Harold and Maude,’” Peck said. “I was standing on the street behind some saw horses when they were doing the wedding scene. 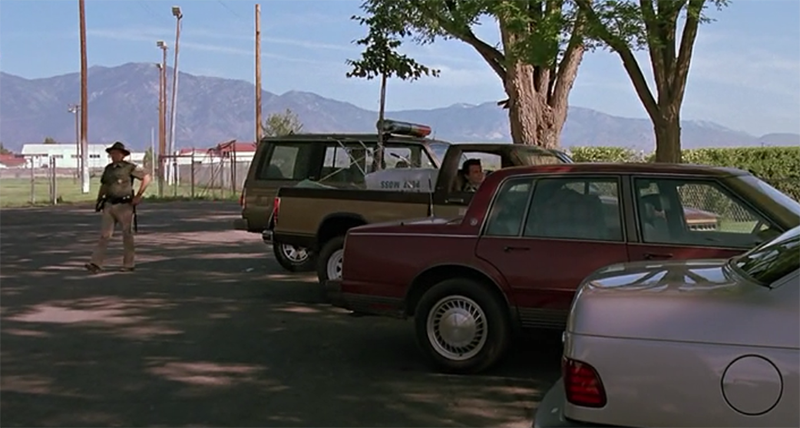 It was filmed in all my old stomping grounds in the San Joaquin Valley. Have a story or photo to share about your memories from when the film crews were in town? We’ll gladly include it here. 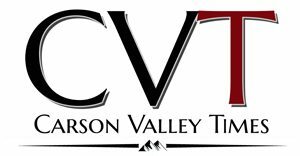 Just e-mail joey@carsonvalleytimes.com or post to our Facebook page at http://www.facebook.com/cvalleytimes.